Both of these recordings are from Virgin Classics. 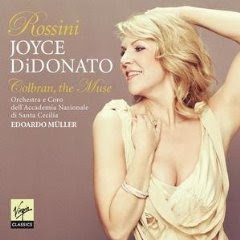 This is Joyce DiDonato's all Rossini album, Colbran, the Muse, and it's magnificent. Her tone is gorgeous, and her style is very pleasing. 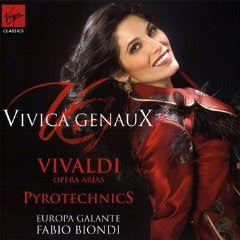 And this is Vivica Genaux's all Vivaldi album, Pyrotechnics. This is quite wowie. If you're not mad for La Gioiosa, or even if you are, you might want to try one of these fabulous ladies. What good is cake you have but never eat?